We are so proud to have been invited to botanically style no fewer than fifteen marquees and event spaces at last year’s Spring Racing Carnival, our busiest yet! Our team worked for months on end in preparation for what is quite possibly the biggest event on Melbourne’s social calendar and the result was incredible! Today we tell you the stories behind a few of our favourites. 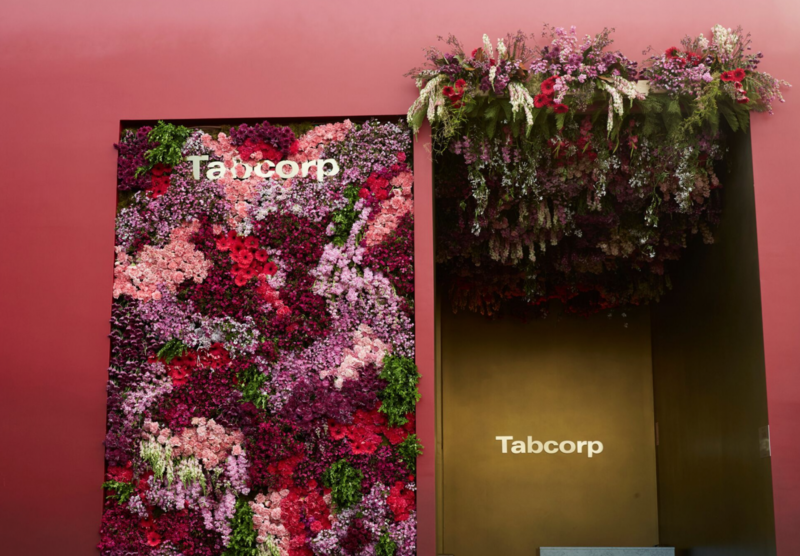 We worked on the show-stopping Tabcorp Birdcage marquee in collaboration with Event Planet. The overall concept for this space was the excitement and elation felt from celebrating the winning moment. 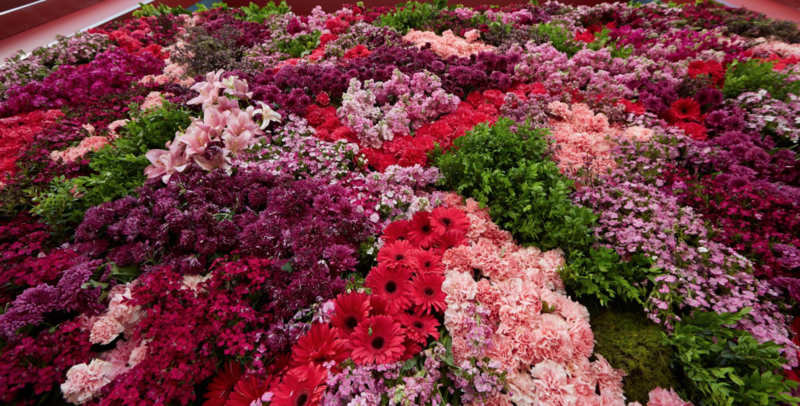 It featured a series of larger than life flower walls on the marquee exterior which provided the ultimate photo backdrop for race goers. 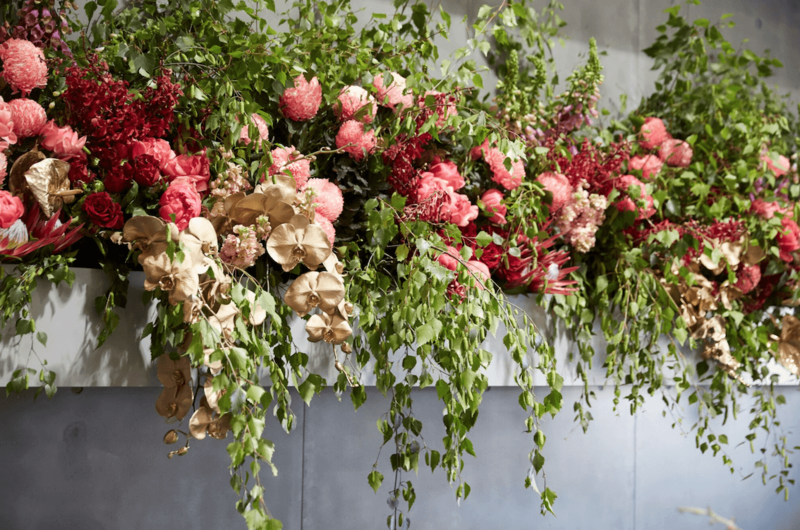 Many a celebrity was spotted posing in front of our spectacular flower walls which presented a colour palette of deep red and burgundy with touches of dusty pink, magenta and green. 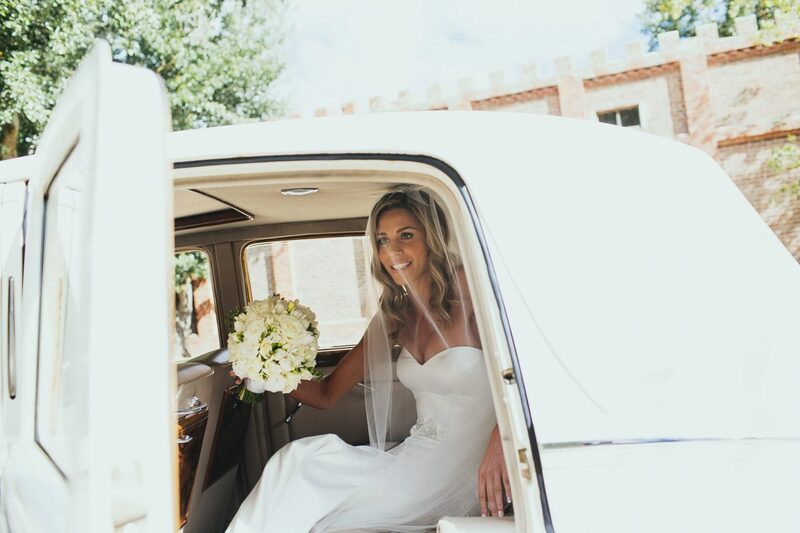 An incredible canopy of blooms including sweetly scented stock and jasmine tendrils extended the entire length of the staircase inviting guests up to the main level. 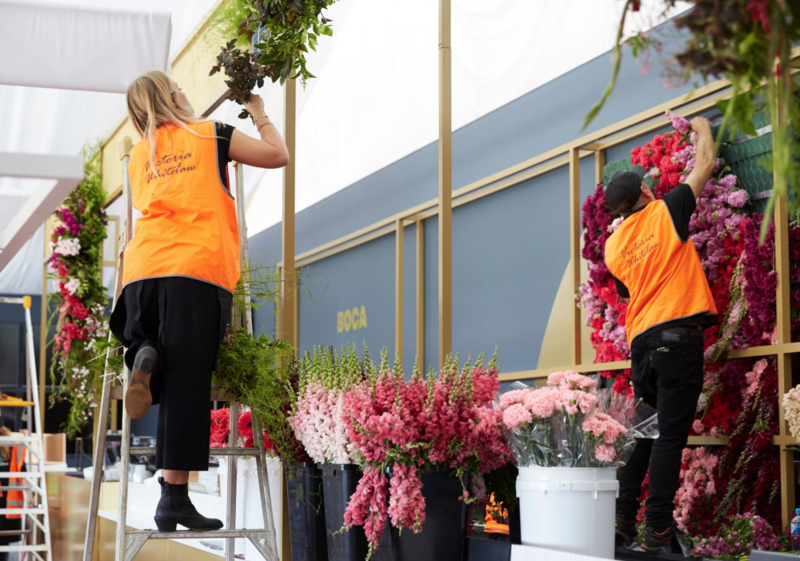 In preparation for the unpredictable Melbourne weather, Victoria worked with the marquee builders in designing a specialised irrigation system to keep our flower walls hydrated. This was put to good use during the scorching days before Carnival was open to the public and we can report that the walls survived the duration of the event. 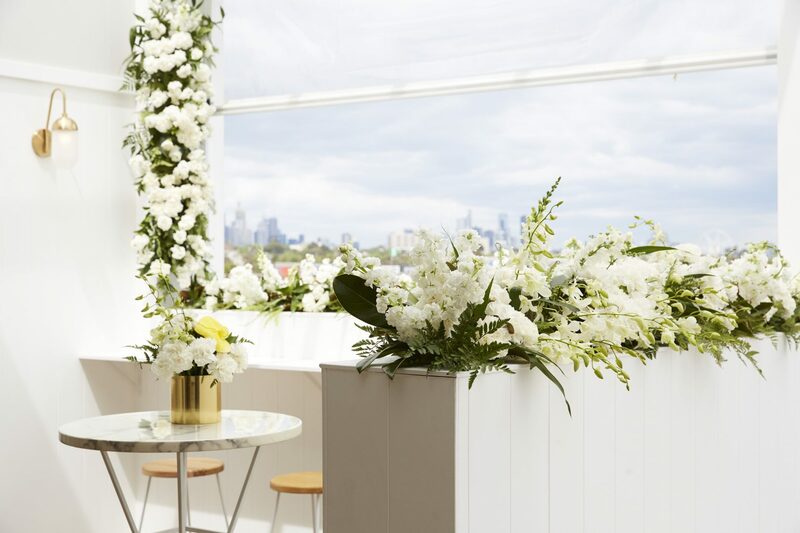 Minc Events creative concept for the Herald Sun Birdcage marquee was that it be a high end take on a classic sports bar. The space featured the iconic white and emerald green brick of an old English pub combined with contemporary furniture and a neutral foundation colour palette. This was overlayed by a secondary colour palette of shades selected to emphasise the daily race day theme. We chose to include a beautiful selection of seasonal white blooms and used stunning hand-dyed phalaenopsis orchid stems to bring in the secondary colour palette. 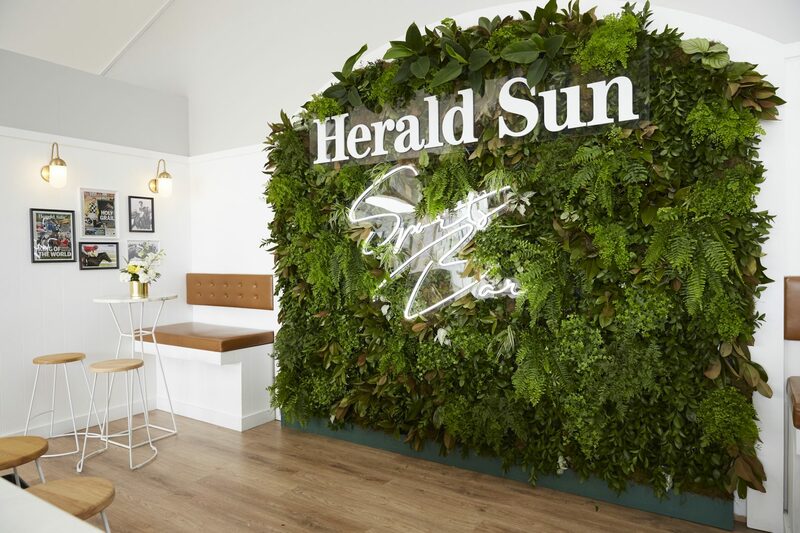 A fresh media wall of luscious ferns and foliage featured on the back wall; with an abundance of botanicals styled on the front bar perimeters and on the upper framework of the central bar. A highlight from the track also included the Pace Development Group marquee where we worked in conjunction with Neue Media. 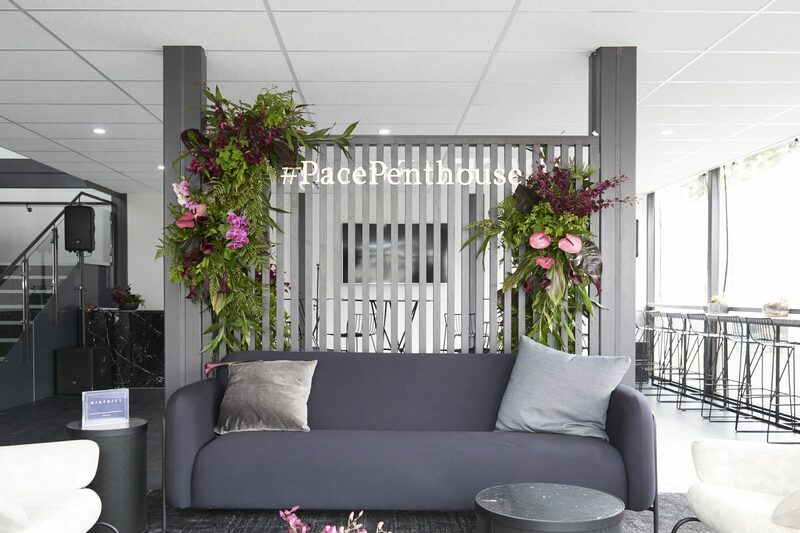 This space was designed to mirror a high-end penthouse complete with master suite, and here we styled plum-hued orchids, calla lilies and succulents with lush ferns to perfectly complement the Pace branding. 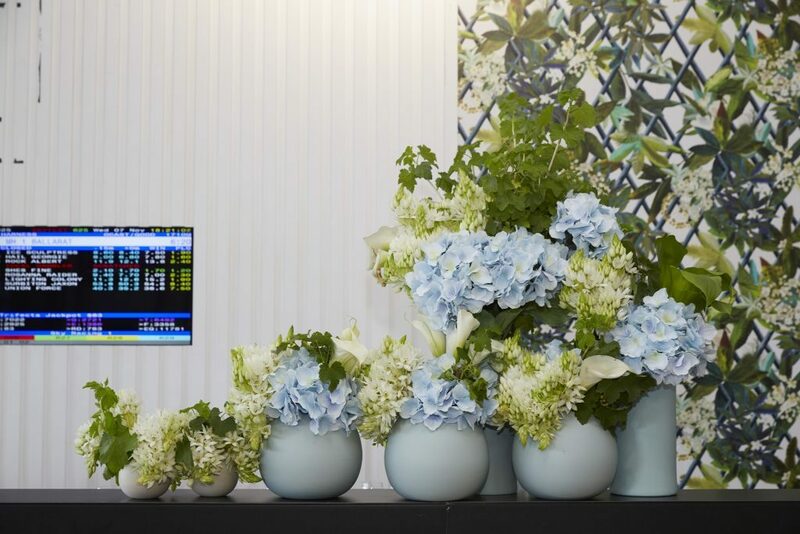 We also adored the fluffy blue hydrangea, calla lilies and chincherinchees styled in pale blue vessels against a leafy wallpaper at the Sky marquee coordinated by Event Planet. 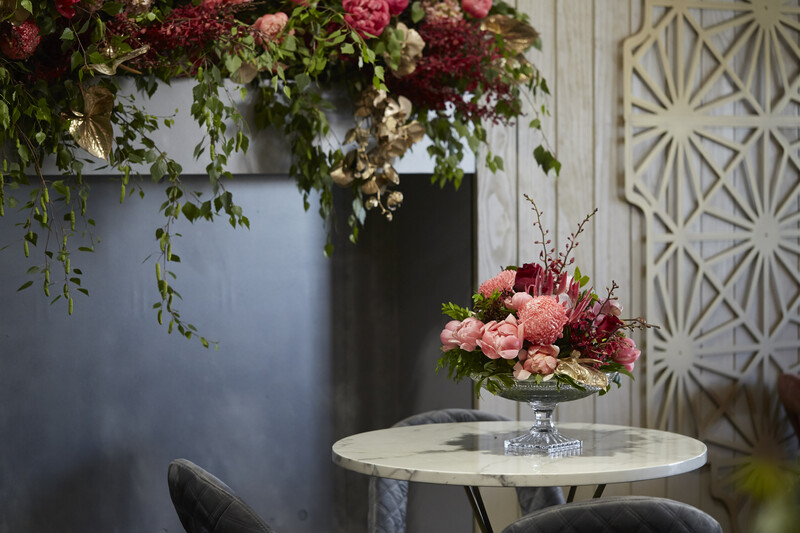 And finally, a very special private marquee where exquisite peonies and gold hand painted phalaenopsis orchid stems overflowed from feature planter boxes and cut crystal vases.